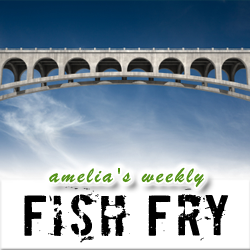 In this week’s Fish Fry, I interview Joe Tillison (Technical Director for Avnet Electronics Marketing Americas) about the upcoming Avnet Tech Games. From racing robots to a new game called “Kevin’s High-Tech Home Makeover”, Joe and I sort through the details of the Avnet Tech Games and chat about why the these games aren’t like your average high tech scholarship contests. Also this week, I dig into my mailbag and come up with a sponsorship opportunity for industrious engineers. I have another (yes really!!) MAX V CPLD development kit courtesy of Altera to give away this week, but you’ll have to find out how to win.